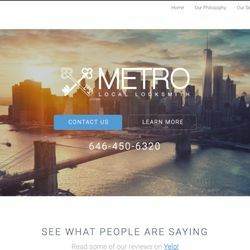 When looking for a locksmith company on the upper west side look no further than Metro Local Locksmith. Our 24 hours hands on locksmiths will solve your emergency the right way, the first time. [caption id="attachment_662" align="alignnone" width="250"] Metro Local Locksmith. Whether you're looking for a residential locksmith or a commercial one for your business, Metro is the right fit for you, with 24 hours a day, 7 days a week year round locksmith service on the Upper West Side. 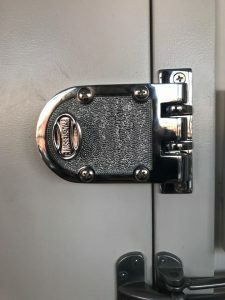 More and more private clients, corporate stores and offices choose us as their professional GO-TO locksmith company on the Upper West Side in particular and Manhattan in general. With an Upper West Side location, we're ALWAYS available. High security keys and locks, on the spot car key cutting and programming and so much more. New locks installed on a residential apartment door or a new intercom with audio and video monitors in each apartment, we cover the whole spectrum, so Metro Local Locksmith is really your one stop shop on the Upper West Side. Covering all Upper West Side zip codes all day long (and night!) it doesn't matter where you are, we serve buildings and management companies on West End Ave on the low 60's (10023 zip code) and other stores and buildings on Broadway ave in the high 70's (10024 zip code) and of course the entire 10025 zip code north of 96th st and all the way up. Locksmith companies on the upper west side comes a dime a dozen, so it may be hard to know who to trust, and it's a lot of trust to place in the hands of a stranger. At Metro Local Locksmith we pride our selfs at being straight shooters, an honest locksmith company, our pricing is clear and the process is completely transparent from top to bottom. Keeping our clients informed about our fees, time tables and expected arrival time of their new intercom system is a top priority for us. So give us a call today, you'll be happy you did.